The PRINCE2 Foundation Certification training is designed to give you a complete understanding of the updated 2017 PRINCE2 framework – recognized globally for its practice-driven approach to project management. 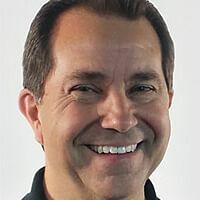 You’ll learn the seven key processes performed at project intervals, themes supporting project activities, and important principles that guide managers during the project lifecycle. PRINCE2 is often a prerequisite for many project management roles. Our PRINCE2 Foundation training program is designed to ensure that you pass your PRINCE2 Foundation exam on the first attempt. The training explores the principles, themes, and processes of the PRINCE2 project management methodology. As a globally recognized certification that has its roots in the UK, a PRINCE2 certification validates your working knowledge of the principles, best practices, and processes involved in effective project management. Armed with this training, you’ll help your organization execute projects more efficiently with clearly defined templates, processes, and steps. The PRINCE2 certification is an ideal investment for practitioners who want to build a career in project management and can position you to earn approximately $11,000 more per year than non-certified peers. Apply skills that complete and complement the knowledge-based approach of the PMP certification. How do you become a PRINCE2 certified professional? 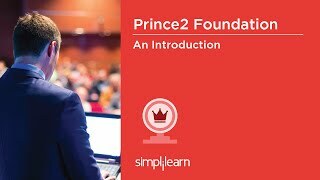 To become a certified PRINCE2 professional, you will have to pursue formal PRINCE2 training from a registered, accredited training organization like Simplilearn and successfully pass the PRINCE2 Foundation exam. What are the prerequisites for the PRINCE2 certification? There are no prerequisites to apply for the PRINCE2 Foundation exam. However, it is recommended that you have at least two years of experience in a project management environment before taking this certification. Exam prices are governed by the certification body and can change. Price changes are typically announced during the end of the calendar year. In case the exam price goes up and you have not yet booked the exam, you will need to pay the difference in amount to Simplilearn. Your exam voucher fee is included in the price of this course. However, you must procure the exam voucher within six months from the date of course purchase. In case the exam price goes up and you have not yet booked the exam, you will need to pay the difference in amount to Simplilearn. How many questions are there in PRINCE2® Foundation certification exam? You need to answer 60 multiple choice questions in one hour's duration. What is the passing score for the PRINCE2® Foundation certification exam? You need 33 marks out of a total of 60 marks to pass the exam (i.e. 55%). Will my PRINCE2® Foundation certificate expire? PRINCE2® Foundation certifications themselves never expire. Only the status as a Registered Practitioner has an expiration date. The status as a Registered Practitioner expires 5 calendar years after certification. Very good course that is easy to follow with all the info that is needed to pass the test. Simplilearn offered me exactly what I was looking for an effective and convenient way to learn for my PRINCE2 certification exams. The online material was well structured and their customer service agents were always very prompt and helpful to accommodate my requests. The trainer was well-organized and the questions were answered in context. Even if they were asked outside the topic, the trainer patiently linked them when the topic was being discussed. His training was well supported with easy examples, interesting case studies and analogies. I have enrolled in Simplilearn's PRINCE2 Foundation course. I really liked the course contents. It is helpful and easy to understand. Their customer support is very good and they closed out on our queries in one call. This helps in fewer hassles for the working class. Altogether it is a great experience. The PRINCE 2 course content supplied by Simplilearn is indeed world class as are the sessions. However, most importantly, they are extremely customer focused. I was facing some issues, which they took great care to resolve and stayed with me till it was fully resolved. Today, the market is teeming with competition and everyone claims to be better than the rest. However, if this customer centricity stays, Simplilearn will be very difficult to beat. My best wishes are with the entire team and I'm already signing up for another course! The trainer shared his knowledge through PPTs along with the course content. The training was good. The training was conducted well, it was simple and to the point. Thanks. The trainer was excellent. He was able to manage the virtual class, just like a real classroom. The themes and principals were depicted very well by the trainer, by using live examples. Curriculum was divided in a way that it wouldn't barrage you with lot of information and at the same ensure that all the necessary and important topics are covered. I really loved the online course at simplilearn and shall be recommending it to my peers, family & friends. As a newly qualified PRINCE2 Practitioner, I really want to thank the team at Simplilearn for their great course material and mentors. I would never have been able to pass without that support. I received my PRINCE2 certifications (Foundation & Practitioner) by courier today, thanks! Another good news is that I got a new job last week with Wipro Technologies as a Project Manager, and I believe that my PRINCE2 certification definitely helped, as I've been assigned to a major UK client. 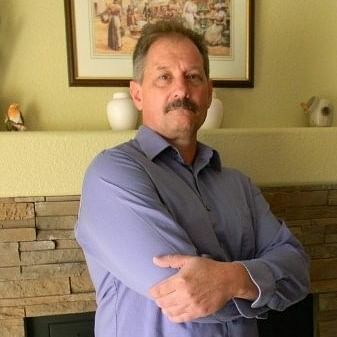 Thank you for all the help and support, especially with the monetary concessions! Hope to attend more such useful programs in future. I had enrolled with Simplilearn for PRINCE 2 certification. The course was well designed. I loved the flexible learning model. The trainer was also extremely helpful. I completed my PRINCE 2 & MSP certifications from Simplilearn. The certification has helped me to advance my career from Project Manager in Quadwave to Program Manager in Infibeam Incorporation Ltd. along with a good hike. I would recommend Simplilearn. You will get access to our e-learning content, practice simulation tests, and an online participant handbook that cross-references the e-learning to reinforce what you’ve learned. Once you register for a course by paying the course fee, you will have 24/7 access to the e-learning content on our website. An automated course purchase confirmation email will guide you through the process. Contact us using the form on the rightside of any page on the Simplilearn website, select the Live Chat link or contact Help & Support. PRINCE2® (PRojects In Controlled Environments) is one of the widely used project management methods. Is PRINCE2 confined to specific projects or can it be generic? PRINCE2 is a generic project management methodology and can be applied to any project across all industries and organizations. What are the eligibility criteria for PRINCE2® exams? There are no eligibility criteria for taking the PRINCE2 Foundation exam. However in order to take the PRINCE2 Practitioner exam one needs to first pass PRINCE2 Foundation exam. What is the question format for PRINCE2 Foundation and PRINCE2 Practitioner exams? The question format for the PRINCE2 Foundation exam is multiple-choice format. For the PRINCE2 Practitioner exam, it is descriptive question format. Is Simplilearn accredited by APMG to provide PRINCE2 Certification Training? Yes, Simplilearn is accredited by APMG as an ATO for PRINCE2 Foundation and PRINCE2 Practitioner training. Contact us using the form on the rightside of any page on the Simplilearn website, or select the Live Chat link. Our customer service representatives can provide you with more details. Your exam voucher fee is included in the price of this course. However, you must book your exam within six months from the date of course purchase. In case the exam price goes up and you have not yet booked the exam, you will need to pay the difference in amount to Simplilearn. If you do not book the exam within six months from purchase of the voucher, you will need to buy the voucher again at the revised price.